Fine artist Ashish Patel creates incredible portrait and figure illustrations using an extremely fine tipped pencil. From Charlie Chaplin to Lana del Ray, Patel each piece is only mere centimetres large but resemble the subject matter perfectly. 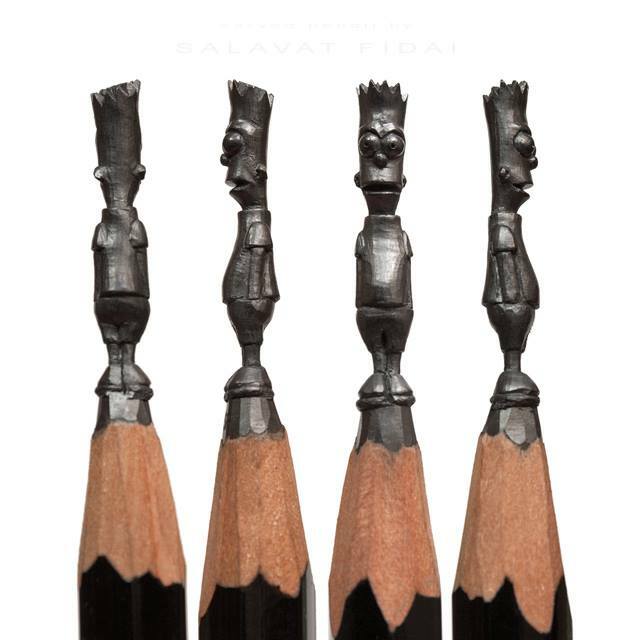 Fine artist Salavat Fidel creates unbelievable artwork by carving miniature sculptures into the tips of graphite pencils by using an X-ACTO blade. The Russia based artist meticulously crafts characters from Bart Simpson to Astronauts on the moon. Artist and photography Carter Asmann creates brilliant illustrations of drawings that are inspired 2 coffee stains. 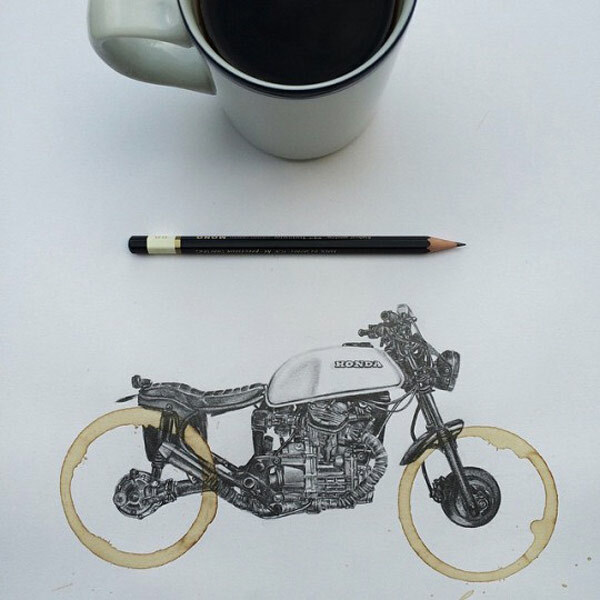 Asmann uses our favourite warm beverage as a foundation to create realistic pencil illustrations of vintage cafe racers. Illustration artist Alessandro Diddi creates work that transcends the second and the third dimensions. Diddi’s drawings are optical illusions that interact with the artist himself and the surroundings of the piece. You may remember (but probably not) when we posted up Dalton Ghetti, who is an artist that creates unbelievably pencil sculptures. Well it looks like there’s a new guy in town who’s trying to compete with Ghetti for the pencil sculpture crown and he is known only as Cerkahegyzo. 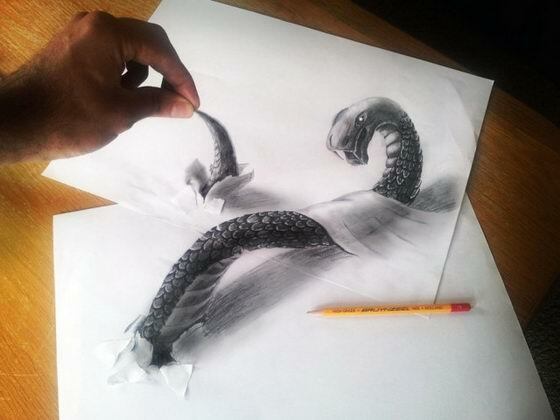 Ramon Bruin is a Dutch artist who dabbles in the fine arts and the creation of optical illusion drawings. From buildings to snakes the drawings jump out at the viewer and interact with both them and the artist himself (by placing his hands in certain ways to draw attention). 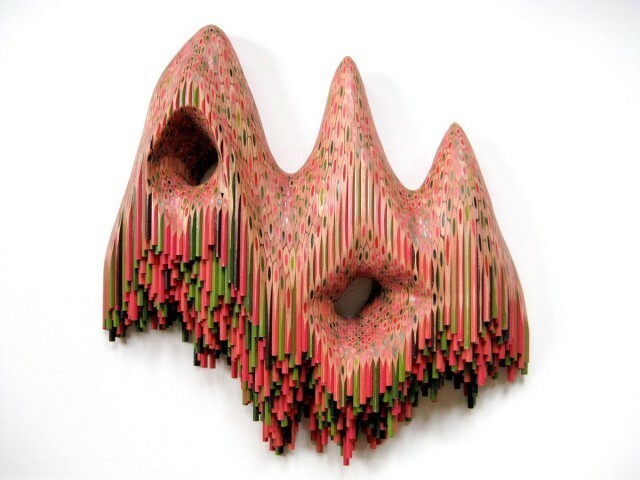 Absolutely remarkable pencil sculpture series entitled “The World Of Surface” by Lionel Bawden.